ADASHI is a comprehensive software platform for responding to, managing, and reporting critical incidents. It combines proven incident response and incident command capabilities in a networked emergency management system for coordinated use across all agencies, departments, and staff levels. Rapidly scale from broad operational view to incident-level detail. Decision Support Tools and critical data are provided instantaneously, based on the unique incident details provided by CAD and your response teams. Rapidly scale from broad operational view to incident-level detail. ADASHI automatically delivers preplans and guidance as well as alerts from sensor and detector integrations. No switching between programs. No fumbling through paper. It’s all there before you ask for it. And a touchscreen interface makes it easy. The goal of the project is to help public authorities in Europe better reacting to terror crises by providing effective communication strategies for the aftermath of terror attacks. Such attacks take place when least expected, as terrorists search for vulnerable targets across Europe and seek to spread fear and panic. A terror attack instantly becomes breaking news in the media throughout the world. Effective recovery from such an attack depends also on a carefully planned and trained communication strategy which would restore public confidence and enable quick return to normality. In order to effectively deal with the aftermath of terror attacks, public authorities need a counter-terrorism communication strategy comprised of activities aimed at the relevant audiences. This strategy needs to be trained and adapted before an attack takes place and forms an inherent part of crisis management and continuity plans. SAFE-COMMS aims to provide public authorities throughout Europe with an effective and modular communication strategy for terror crises. Read more about this project here. LifeNet is a WiFi-based data communication solution designed for post-disaster scenarios. It is open-source software and designed to run on consumer devices such as laptops, smart-phones and wireless routers. LifeNet is an ad hoc networking platform over which critical software applications like chatting, voice messaging, MIS systems, etc. can be easily deployed. LifeNet grows incrementally, is robust to node failures and enables Internet sharing. A novel multi-path ad-hoc routing protocol present at its core, enables LifeNet to meet all the aforementioned needs. National Oceanic and Atmospheric Administration (NOAA) and the Environmental Protection Agency (EPA). 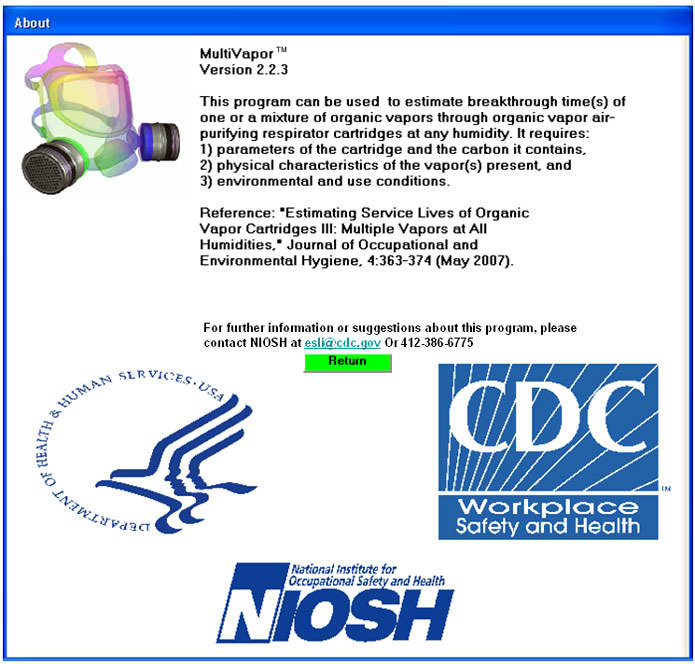 ALOHA (Areal Locations of Hazardous Atmospheres) is a computer program designed especially for use by people responding to chemical releases, as well as for emergency planning and training. ALOHA models key hazards—toxicity, flammability, thermal radiation (heat), and overpressure (explosion blast force)—related to chemical releases that result in toxic gas dispersions, fires, and/or explosions. ALOHA runs quickly on small computers (Microsoft® Windows® or Macintosh®) that are easily transportable. It is designed to be easy to use so that you can operate it successfully during high-pressure situations. Its chemical library contains information about the physical properties of approximately 1,000 common hazardous chemicals. Its computations represent a compromise between accuracy and speed; ALOHA has been designed to produce good results quickly enough to be of use to responders. ALOHA is designed to minimize operator error. It checks information that you enter and warns you when you make a mistake. ALOHA's on-screen help offers you quick access to explanations of ALOHA's features and computations, as well as background information to help you interpret its output. Click here to download relevant software and installation instructions. NEW Version 5.2 (as of 10/11/2018) is now available! The Harvard School of Public Health Center for Continuing Professional Education offers two programs Basic Hands-On CAMEO Training and Advanced Hands-On CAMEO Training. The CAMEO program, developed by the USEPA and NOAA, helps state and local governments as well as corporate entities plan for and respond to chemical emergencies. Easily displays ALOHA® threat zones. Originally developed for public safety and emergency management officials, WebEOC is also used for routine operations in private corporations, public utilities, domestic and international airlines, health care associations, and universities, as well as by government at every level---city, county and state agencies nationwide, and NASA, EPA, and other Federal Agencies within the Departments of Defense, Energy, Agriculture, and Health & Human Services. Following the events of September 11, 2001, the Department of Justice (DOJ), National Institute of Justice (NIJ)/Office of Science and Technology (OS&T) conducted an evaluation of what is now known industry-wide as Crisis Information Management Software (CIMS). At the time there existed relatively few software firms providing CIMS – the software used in emergency operations centers (EOCs) to manage crisis information. ESi was one of only ten software firms who subjected its software, WebEOC®, to DOJ’s independent evaluation. Since that time, ESi has become the leading provider of CIMS nationwide. WebEOC first received industry-wide exposure in the July 1999 edition of the International Association of Emergency Managers (IAEM) Bulletin. In an article written by then IAEM Region IX President B.J. Sibley, WebEOC and the concept of a “virtual” EOC were given widespread recognition. Today, WebEOC is used by agencies within DOD, DOE, DHS, EPA, NASA, state, county, and city EOCs, domestic and international airlines, healthcare associations, corporations, public utilities, and universities. It has also been adopted by government agencies internationally. Sahana software was initiated by volunteers in the Sri Lankan FOSS development community to help their fellow countrymen and countrywomen affected during the 2004 Asian Tsunami in December 2004. The system was officially used by the Government of Sri Lanka and the system was released as Free and Open Source software. Subsequently a re-write as a generic disaster management tools was incubated with the sponsorship of SIDA, IBM and NSF (US) and it has be used by the dozens of Governments and NGOs since then. Sahana is a Free and Open Source Disaster Management system. It is a web based collaboration tool that addresses the common coordination problems during a disaster from finding missing people, managing aid, managing volunteers, tracking camps effectively between Government groups, the civil society (NGOs) and the victims themselves. CAMEO is a system of software applications used widely to plan for and respond to chemical emergencies. It is one of the tools developed by EPA’s Office of Emergency Management (OEM) and the National Oceanic and Atmospheric Administration Office of Response and Restoration (NOAA), to assist front-line chemical emergency planners and responders. They can use CAMEO to access, store, and evaluate information critical for developing emergency plans. In addition, CAMEO supports regulatory compliance by helping users meet the chemical inventory reporting requirements of the Emergency Planning and Community Right-to-Know Act (EPCRA, also known as SARA Title III). CAMEO also can be used with a separate software application called LandView to display EPA environmental databases and demographic/economic information to support analysis of environmental justice issues. The CAMEO system integrates a chemical database and a method to manage the data, an air dispersion model, and a mapping capability. All modules work interactively to share and display critical information in a timely fashion. The CAMEO system is available in Macintosh and Windows formats. FiRST provides responders and emergency managers with critical, mobile, map-based information to support IED and Hazmat incident response. Users can access response data, annotate digital maps, retrieve current weather to orient downwind hazard areas, and assess roadblocks to isolate the area. Used in conjunction with the FiRST Sharing Service (see other side), organizations can share incident GIS data across mobile, Windows PC, and browser-based systems. Click here to download related software for various systems.